The Slovenian Minister for Economic Development and Technology, Zdravko Počivalšek, has held talks with both Etihad Airways and Emirates over potential services between the United Arab Emirates (UAE) and Ljubljana, with the latter showing greater interest. Following discussions with Etihad in Abu Dhabi on Wednesday, Mr Počivalšek said the carrier was more interested in serving Ljubljana indirectly through its partners, primarily Air Serbia with which it has a codeshare agreement in place on services between Belgrade and the Slovenian capital. However, the national carrier of the UAE was also interested in exploring possibilities of maintaining links to Ljubljana through Alitalia and Air Berlin which do not operate to Slovenia. Following talks with Emirates yesterday, Mr Počivalšek said that the airline has shown interest in serving Ljubljana through Flydubai. The carrier plans to terminate services to Zagreb this winter season through which it offered bus shuttle services to and from the Slovenian capital. 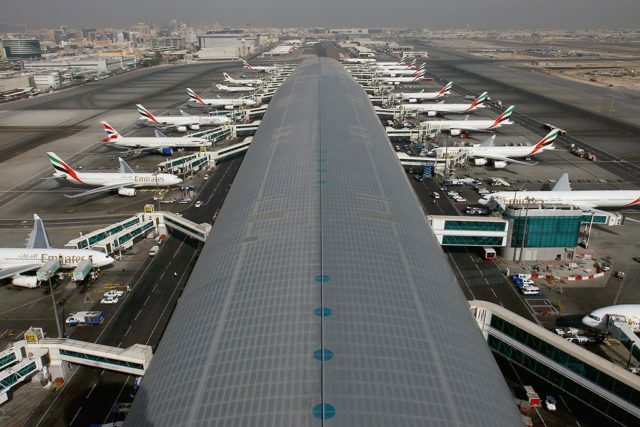 On Wednesday, a manager from Ljubljana Airport told the “Siol” portal that links to the UAE are currently being actively pursued but noted that bringing in new carriers did not depend solely on the airport or its operator but also on the route’s competitiveness. In June, Ljubljana Airport held talks with representatives from Etihad, Flydubai and Air Arabia over potential services. According to an earlier report by the “Sierra5” portal, Flydubai has shown the greatest interest in introducing services to Ljubljana based on “unofficial but reliable” sources. Last November, Slovenia and the UAE signed a Civil Aviation Agreement, which enables flexibility on routes, capacity, number of frequencies and types of aircraft between the two countries, for both passenger and cargo flights. The agreement also foresees the implementation of fifth freedom traffic rights, permitting carriers from the UAE to operate services to any airport in Slovenia and then onwards to a third country. The Slovenian Ministry for Infrastructure noted, “Passengers travelling from Ljubljana Airport should benefit from better connections to the UAE, which will play a significant role in promoting cooperation, especially in the tourism sector, which is of great importance to Slovenia”. Last year, Slovenia and the UAE signed an economic cooperation agreement which the two countries see as an opportunity to boost ties in various fields, particularly in tourism.